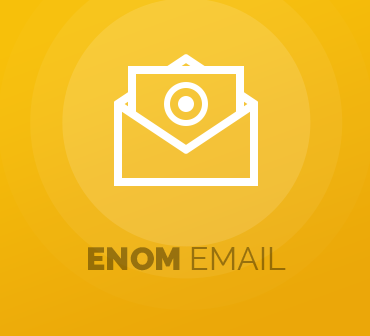 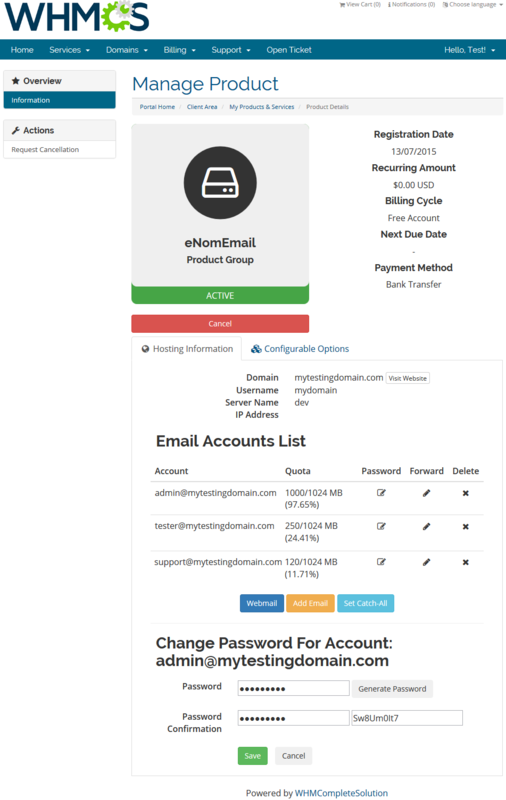 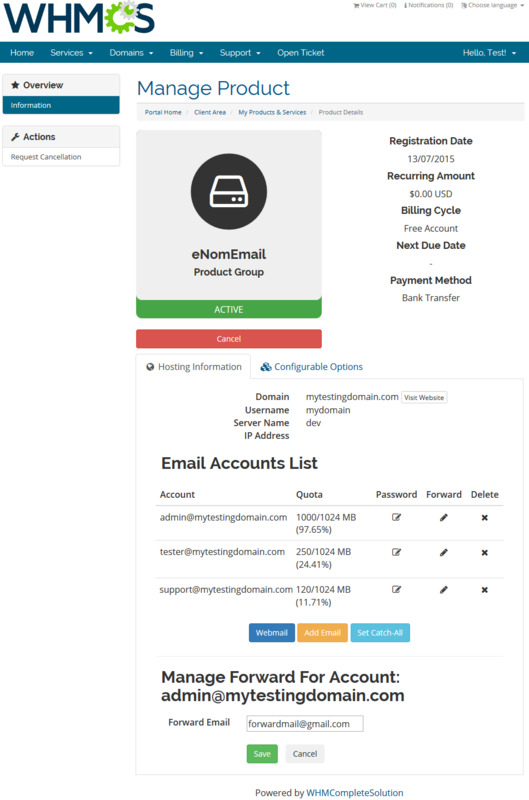 Enom Email For WHMCS is a handy and easy to use module which will allow your clients to manage Enom email accounts directly in your favorite web hosting automation platform. 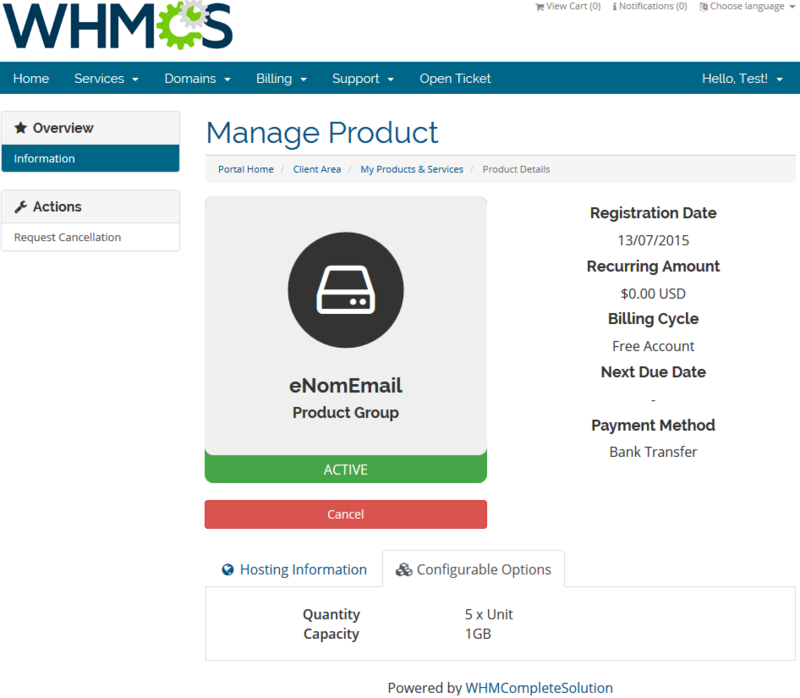 Concurrently, you will be able to automate the accounts provisioning in WHMCS as well as control these accounts from the admin area. 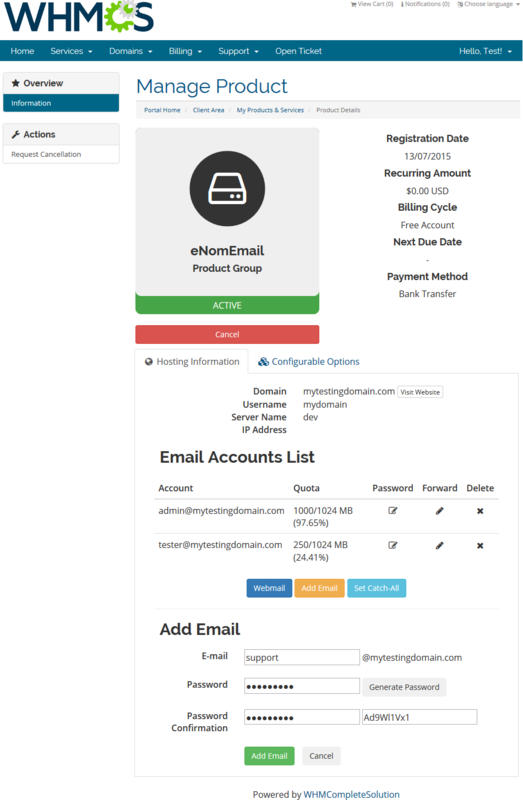 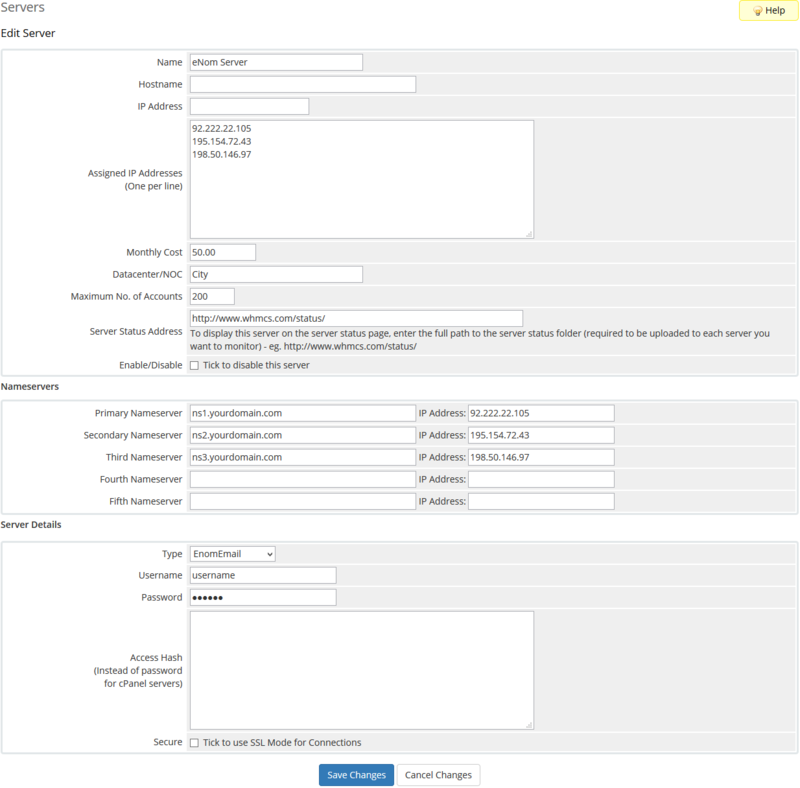 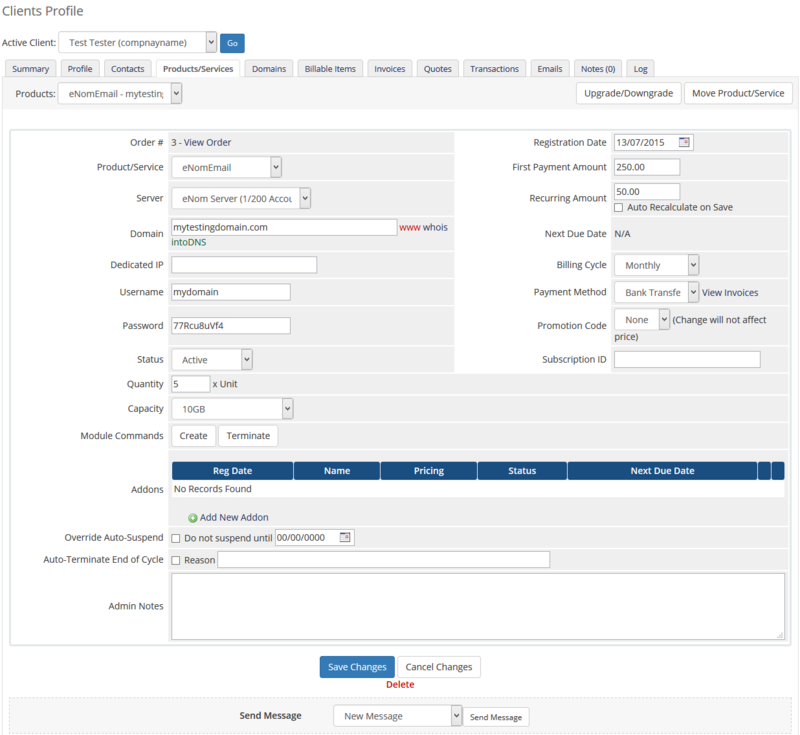 Supply Zimbra accounts and use automated control means in WHMCS, empower your clients to remotely handle mailboxes and aliases as well as quickly access webmails.